Fresh on the market in the sun soaked shores of Boca Raton, Florida is this breathtakingly re-imagined townhouse. Nestled along the shore, this 3 BR/4.5 BA Villas of Red Reef offers views throughout its 3,681 square feet of beautifully appointed living space. A lavish chef’s style kitchen is graciously equipped with sleek granite counter tops and a full suite of top-of-the-line stainless steel appliances. The relaxing Roman tub and Glass shower in the master bath are just a few of the ultra-luxurious appointments in this stunning town home. 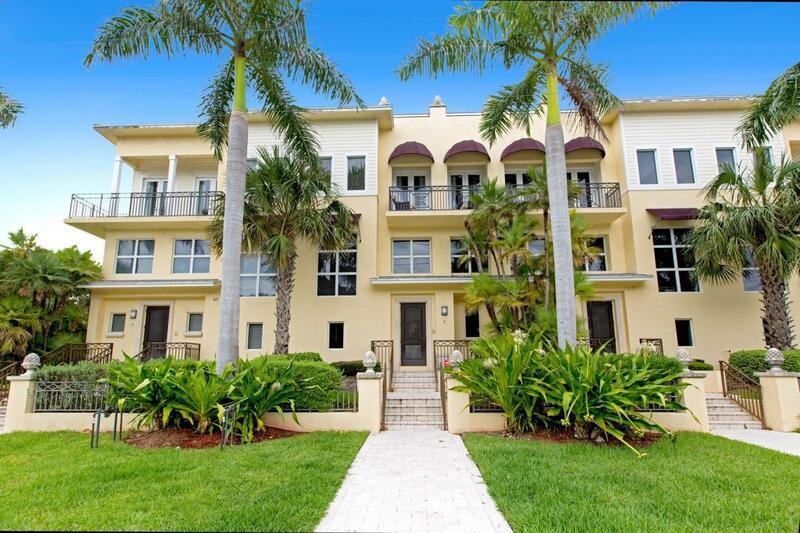 The additional exceptional features showcased throughout this completely updated townhouse include soaring ceilings, marble flooring, intricate crown molding, two car garage, an elevator and a spacious Master suite. 425 North Ocean Boulevard is located in Boca Raton and is currently asking $2,250,000. This Villas of Red Reef listing is courtesy of Coldwell Banker Realty MLS# RX-10155692. The Villas of Red Reef is an exclusive oceanfront town home community situated on the sun drenched shores of the Atlantic in Boca Raton. In addition to an enviable oceanfront location and breathtaking views, Villas of Red Reef offers its residents a sparkling private pool. Situated only steps from the beautiful beaches of the Atlantic this gem provides a rare sense of seclusion. Located on Ocean Drive just north of Palmetto Park Road, residents of Villas of Red Reef residents also enjoy close proximity to upscale shopping and fine dining at nearby Mizner Park.